It is that time of year when the geese pay us a visit. 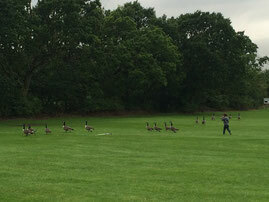 It is great to see the kids counting real geese in the field. I think the latest count was 24 which is quite impressive. Maybe there are more yet to come. See how many you can see next time and let us know!